When's the Best Time to Start Designing Your Holiday Service? Lighting Designer Cole Pierce returns to the lounge to talk about how he prepares for the holiday season at Fresh Life Church in Montana. Cole's first article, THIS IS NOT YOUR GRANDMA'S CHURCH: HOW ONE LD IS CHANGING THE WORSHIP EXPERIENCE, was a success and a lot of you really seemed to enjoy it. So we asked him to put another informative and helpful article together for everyone. Enjoy! Christmas is almost upon us—that in the church world is a phrase that is usually used too late. The fact is for me, Christmas starts approaching in late summer and early fall. The church world is full of (mostly good) critique when it comes to Christmas designs, sets, and intentions which usually take months to hammer through until you reach your final design. Unfortunately, those above you usually don't realize what it takes to just "swap that light for that one" at the last minute—especially when rentals are involved. 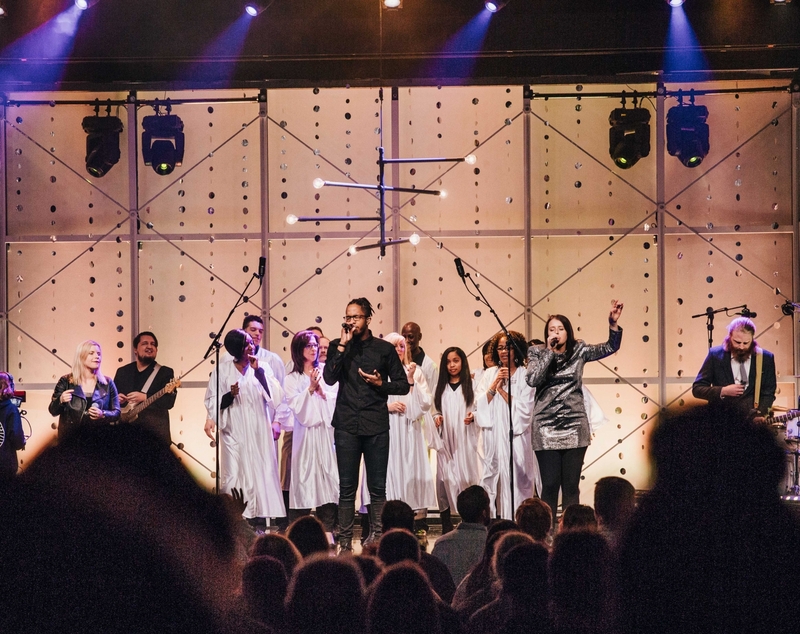 Many critique churches for putting on a "show" for Christmas when in reality Christmas and Easter are the two biggest times of the year for church services—the two times of the year are when most people "go to church"—even if it's just those two weekends each year. 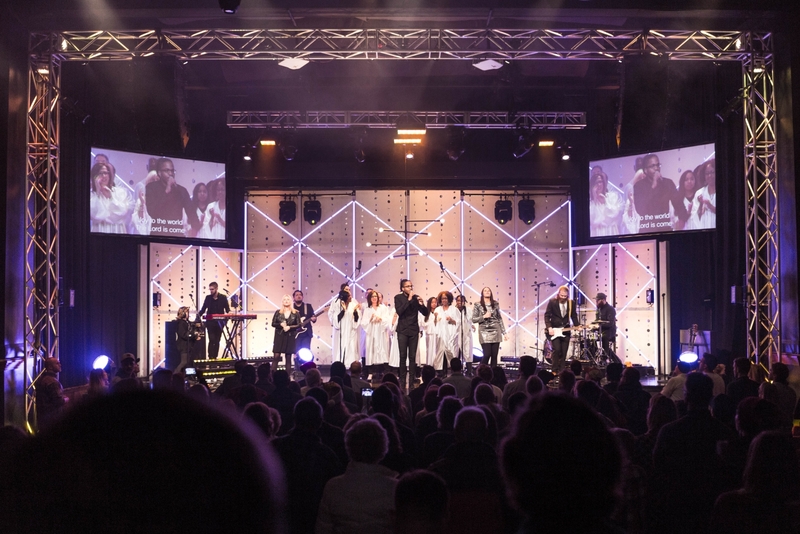 At Fresh Life, we usually experience more than twice the normal volume of people over Christmas weekend and the most important part are the weeks following when you notice a steady increase in the number of people attending an average weekend worship experience. Although we don't put on a "Christmas show" at Fresh Life or Saddleback, we do make things more exciting and different for our Christmas services to change the environment in the room to be something a little more special that isn't normally there on a week-to-week basis. Like I mentioned before, when it comes to personal preparation for the Christmas season, I start preparing a design in late summer or early fall. At the beginning points of designing, I try to figure out a big picture idea that can be easily molded into what the theme or intentions are for each Christmas season—since those usually don't get figured out until later on by the creative team. This point in the design usually consists of what equipment to use and what specific fixtures I'd like to add in. For both Fresh Life and Saddleback, Christmas and Easter usually consist of an additional rental package that adds onto our existing platforms. This usually gets the most utilization out of rental fixtures and current fixtures in your inventory. These rental packages mostly have special effect lighting or fixtures that I think are really great effects or looks, but not necessarily worth purchasing and having long-term. 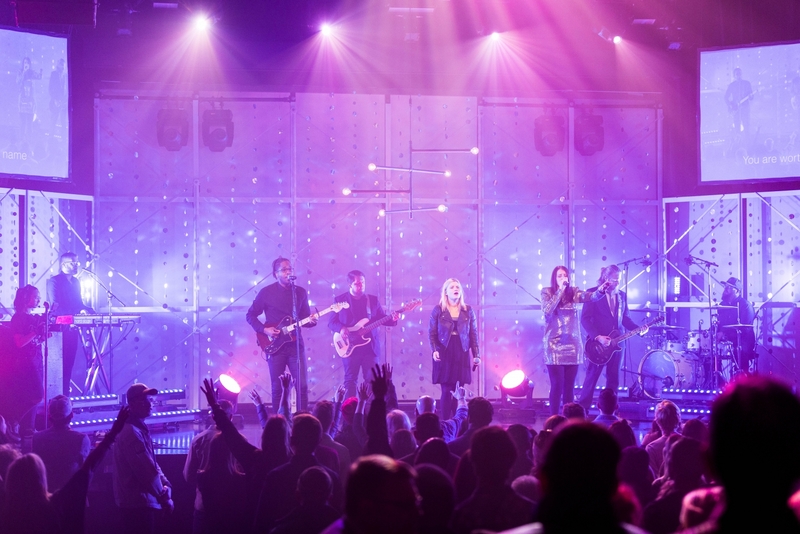 Our main campus at Fresh Life, for example, consists of mostly Quantum Washes and Profiles currently so I try to add in additional Quantums as well as one specific element the creative team would like to try and a fun effect fixture for myself. Last year, our creative element was based on projection mapping and my special FX light was the Ayrton MagicBlade-R. I chose the MagicBlades because it's one of those fixtures that have a cool look to them—but I'm not sure if it's worth the cost to purchase as it's almost a one trick pony. Some other fixtures I have loved playing with lately include the Chroma-Q ColorForce II, GLP Impression X4 Bars and of course the Martin MAC Viper—which has always been my go-to since it came out! 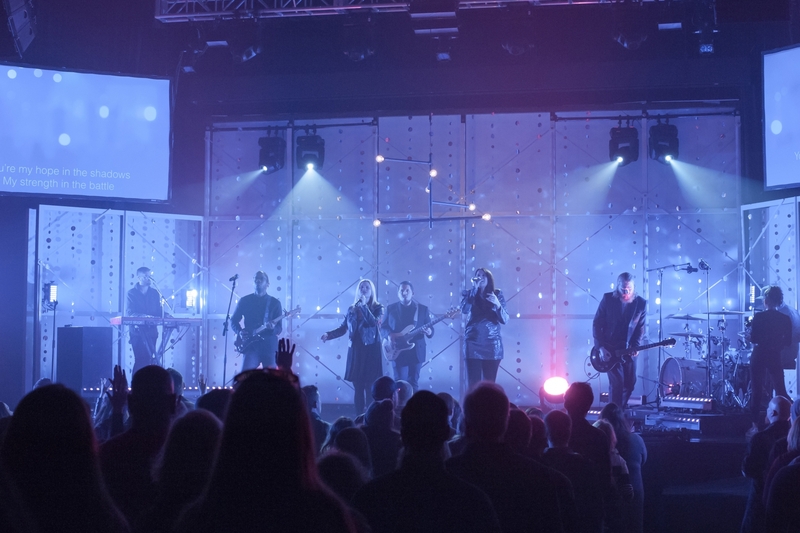 In the last few years at Fresh Life, we started playing more with projection mapping and atmospheric projection. Our backdrop is a mostly white grid structure that's great for uplighting as well as projecting onto from the front. We even mapped out projection onto certain moving objects and people on the stage which was pretty awesome. The key to good projection mapping is using a high enough powered projector that can punch through your lighting fixtures. One look that has been really fun to play with is atmospheric projection where the projector is actually pointed out from the stage and depending on the video content being played on it, we can make it look like a crazy lighting fixture coming through the haze—it's one of those effects where the sky is really the limit on where you can take it if you put enough time into it! I think the last 5 years have really projected (pun intended) the future of integration between lighting and video teams. It's been great to work with videographers on the way videos and lighting can work together and get the most out of the vision everyone wants to portray. This is especially true when it comes to projection mapping or atmospheric projecting. Overall, Christmas is definitely the busiest and most stressful times of the year—especially for us "church lighting guys", but it's definitely one of the most fun times as well. There's nothing quite like seeing a design that has morphed its way through hundreds of people over months of hard work all coming together for that one week of the year!